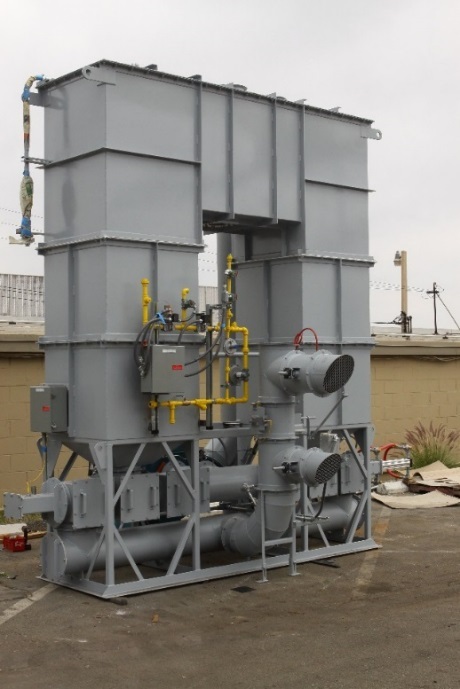 When selecting an air pollution control system for industrial and remediation applications, the Best Available Technology (BAT) may require many design considerations if the process air is laden with chlorinated or halogenated compounds. These oxidizer design considerations include life cycle costs, materials of construction, residence time, and many other factors that ensure product life, destruction efficiency, and safety. The Ship & Shore technical team is agnostic when assisting clients with the most appropriate solution because we can supply not only carbon absorption systems, but have the capabilities to manufacture a variety of oxidizers as well. With our technical evaluation process and years of experience, we can help with air pollution control for chlorinated compound applications. Depending on the molecular weight of the compounds, traditional vapor phase carbon will not absorb all compounds or desorb compounds of lighter weight. Specialty carbon media may be required for further polishing such as potassium permanganate. Some compounds will not absorb at all and should be evaluated on a case-by-case basis to ensure permit requirements are met. Carbon is limited by process temperature and conditioning of process air is important to maximize absorption. Life cycle costs including system maintenance, frequency of carbon change-out, re-bedding, and disposal, are expected. Disposal of carbon loaded with chlorinated compounds is typically considered hazardous waste, thereby dramatically increasing disposal costs. 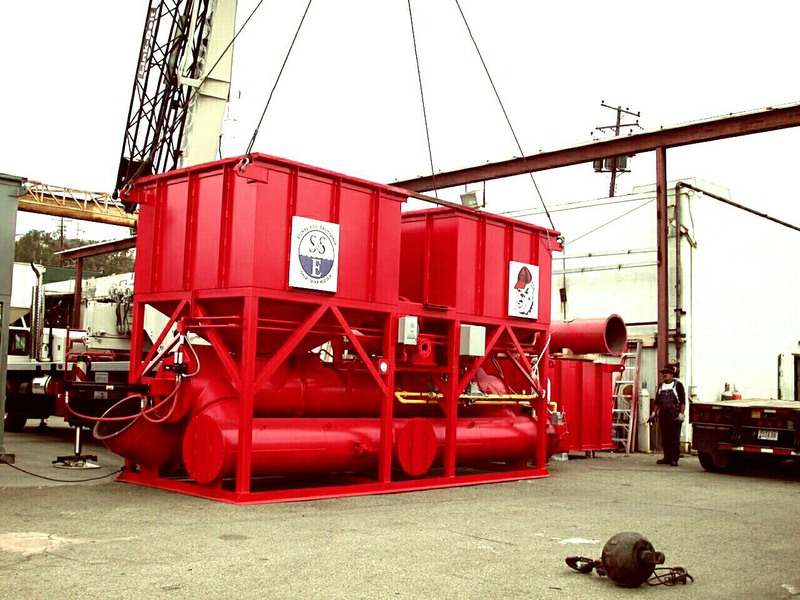 Should the carbon absorption technical evaluation prove it is not capable of meeting permit requirements or life cycle costs, Ship & Shore will assist you with the evaluation any type of oxidizer. Selecting an oxidizer for chlorinated application is different than selecting a carbon absorption system and from oxidizers that are specifically designed for non-chlorinated processes. When oxidizing chlorinated and halogenated compounds, Hydrochloric Acid (HCL) is created and depending on the application, the materials of construction of the oxidation technology must meet the life expectancy of the client. The post off gas treatment for HCL via a wet or dry scrubber may be required depending on permit requirements. When selecting an oxidizer for chlorinated applications, the operational economics should be considered. Chlorinated and halogenated compounds have little to no BTU value to support the flame required, depending on the oxidizer supplemental fuel to maintain operating temperature. 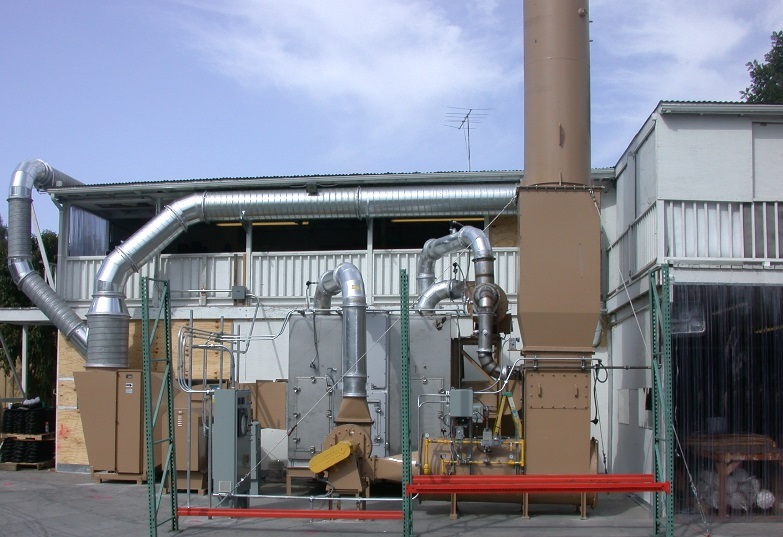 Typical oxidizers used are Regenerative Thermal Oxidizers (RTO), Catalytic Oxidizers and Direct Fired Thermal Oxidizers – with or without heat recovery. Catalytic oxidizers in the past was a very common solution but the catalyst used is prone to catalyst poisoning and approximately every 50,000 hours, the catalyst will need replacing, adding significant cost to the life cycle costs of the project. 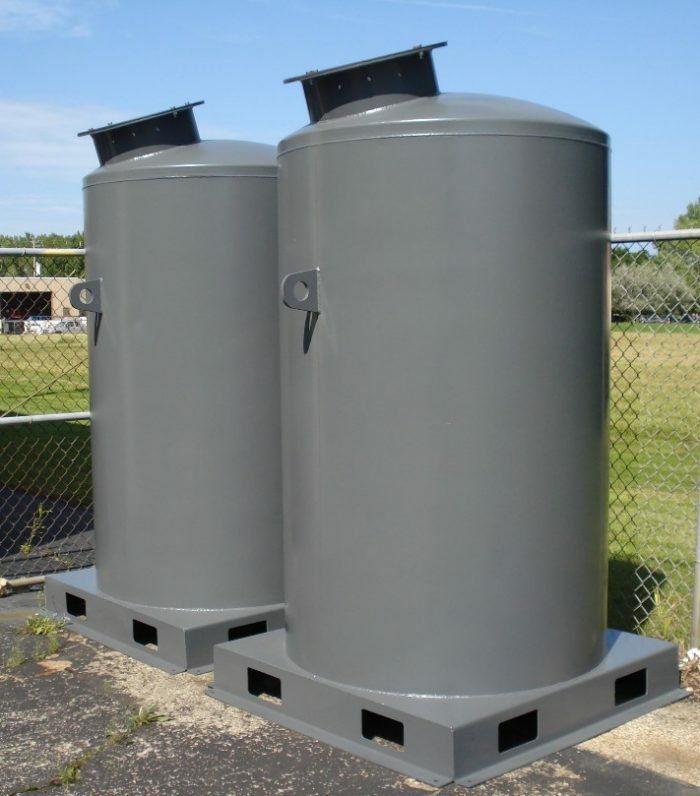 Direct Fired Thermal Oxidizers – with or without heat exchangers – are also a common technology used because it eliminates the risk of catalyst poisoning but the due to the high operating temperatures, the annual supplemental fuel costs are so great that makes this technology an unreasonable solution. The RTO for any process stream greater than 500 SCFM is commonly the most efficient due to the high heat recovery of 85%-98% making it sustainable, unless the Lower Explosive Limit (LEL) is less than 3%. Ship & Shore technical engineers will evaluate each technology and operating costs at multiple conditions and calculate life cycle costs to insure the most efficient oxidizer is selected for any given process. Because HCL is generated in the oxidation process, it is important to recognize safety and proper materials of construction that will endure for the life of the project. When it comes to safety and the generation of HCL, the oxidizer can be selected with a forced draft or induced draft fan. The safest solution is induced draft. This will keep the oxidizer and HCL scrubber under a negative pressure, and should the oxidizer or scrubber shell have a breach, HCL gasses will still be processed by the system and not emit gasses in employee work area. The key to long life for an oxidizer in this type of environment is keeping the HCL gasses above the dew point temperature thereby reducing its corrosive capabilities. In some cases, that can be challenging in any of the oxidizers and depending on the life of the project, upgrades to exotic materials of construction should be consider in cold face areas of the oxidation technology. Typical materials of construction upgrades could be 316 Stainless Steel, AL6XN, Hastelloy and potentially special metal coatings to protect steel from corrosion. Ambient conditions also play a role in additional design considerations, such as cold weather climates. It is suggested to insulate and clad certain cold face areas of the oxidizer skin to assist with keeping the HCL above its dew point. Ship & Shore will assist evaluation of these conditions and suggestions on a case-by-case basis to ensure we are meeting stakeholders’ system life expectancy expectations. Contact Ship & Shore today for more information on air pollution control for chlorinated compounds: Call (562) 997-0233 or info@shipandshore.com.